Quality Control is a top priority at Broda Machine. With an experienced team and all of the latest QC tools in place, we can ensure that your parts are produced within the tolerances you require. Our goal is to check the parts identically to how you would...with the highest regard for quality. 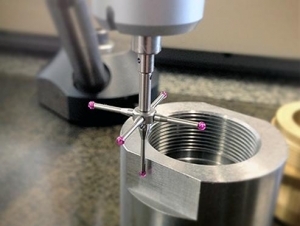 Touchstone Calibration - a CMM Laser Calibration Service - is also located on the premises. In addition to making sure our equipment is in tip-top shape - the presence of Touchstone Calibration keeps us up to date on all of the newest and best quality equipment available. © 2019 Broda Machine Company. All Rights Reserved.